The iPhone 7 is finally out in the open and here our initial impressions of the new range-topping phones from Apple. These handsets are pretty much what we expected but the bottom line is they're faster than the 6S range - we know that from all the benchmarks that have leaked - last longer (around two hours according to Apple), have an upgraded display and better cameras all round. They're also gorgeous - well the Jet Black version is at least. Coincidentally, Jet Black is weirdly only available in the higher capacities rather than the entry level model. Is the paint really that expensive. The new Apple A10 Fusion is a quad-core processor with two high-performance cores and two high efficiency cores, delivering around a 40% performance boost (according to Apple) over the A9 chip in the previous iPhone. iPhone 7 deals, price and availability: which networks will stock the new handset? In terms of its outward design iPhone 7 is clearly an evolution of the existing design rather than something completely new, although now the antenna bands are very hidden and not slapped across the back brazenly as with the previous two generations. The iPhone 7 is clearly a top-notch phone and it'll sell bucketloads but let's get one thing out of the way right now - iPhone 7 isn't a mainstream device. And it's priced at a premium level - after all the 6S is still sticking around. The top iPhone 7 Plus is over £900. Put simply, it'll be a waste of the extra money for most people who buy it (not you, dear T3.com reader) because they just won't use it anything like its potential. It also has one fatal flaw according to many. Yes, the lack of headphone jack could be seen as a bit of a pisser, but let's not forget that Lightning headphones will be bundled, while you can choose from numerous Bluetooth headphones on the market as well as Apple's new AirPods or Beats' new range including Solo 3 Wireless. These Apple devices feature a new Apple W1 wireless chip for seamless pairing. While it tolerates Bluetooth, Apple doesn't like the way it can be flaky. The new AirPods aren't cheap at £160, but they're a compelling buy and we think we'll see a lot of them around. For those who use the EarPods with their iPhones, the lack of jack won't matter. After all the EarPods in the box will be Lightning and so their lives won't change. Apple is also including a 3.5mm jack to Lightning adapter in the box, so that should be OK for the rest of us. The problem comes when you need to listen to cabled music AND charge. And that's when you need to go wireless. We're looking forward to testing out how this feels in practice, as well as listening to the stereo speakers. Aside from the waterproofing (which we've been waiting for with baited breath) one of the best new things about this generation is the Home button - now solid state, and force-sensitive thanks to a revamped taptic engine that can be accessed by third party apps for special effects. We can't wait to test out how this feels in games! The improved screen is brighter and has a wide colour gamut but isn't a huge upgrade - after all it's the same resolution and pixel density as the predecessor devices. The front of the device isn't as bezel-free as some Android rivals and it has to be said that the iPhone 7 display is lagging behind some rivals now. Does it matter? Probably not, for many. Once again there's 3D Touch and Live Photos, but we have to say we're not that bothered by either. Although the live photos can be fun. For five minutes. 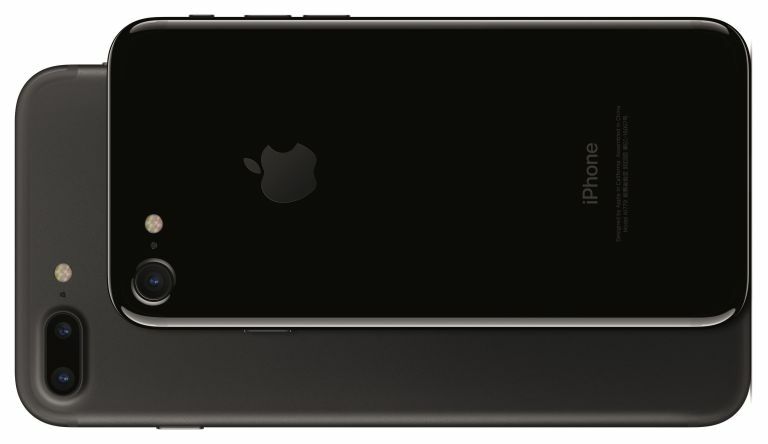 The iPhone 7 Plus is our favourite because of the dual-camera setup with optical image stabilisation - which isn't included in the standard iPhone 7. (its rivals do as well, of course) and we're really intrigued as to how this camera performs in our review tests. So would we recommend? It's a little too early to say pre-review. If you've got an iPhone 6S then don't upgrade - it's as simple as that. If you've got an older handset then you'll want to upgrade. And why on earth not? One of the best features is actually the amount of storage included - starting at 32GB, the iPhone can finally consider itself to be comparable with many high-end Androids in this regard. We can't wait to get our review samples in - especially of the awesome iPhone 6 Plus. We love the Samsung Galaxy S7 and S7 Edge as well as the slightly-tarnished Note 7, so we can't wait to see where the new iPhones slot into our best smartphones list after review.